Regardless of how much research we do, our design will have flaws. Learn by monitoring. Design requires planning and process to avoid descending into a chaotic blend of people, techniques and outcomes. Techniques that work for one set of challenges or people may not work for another set. 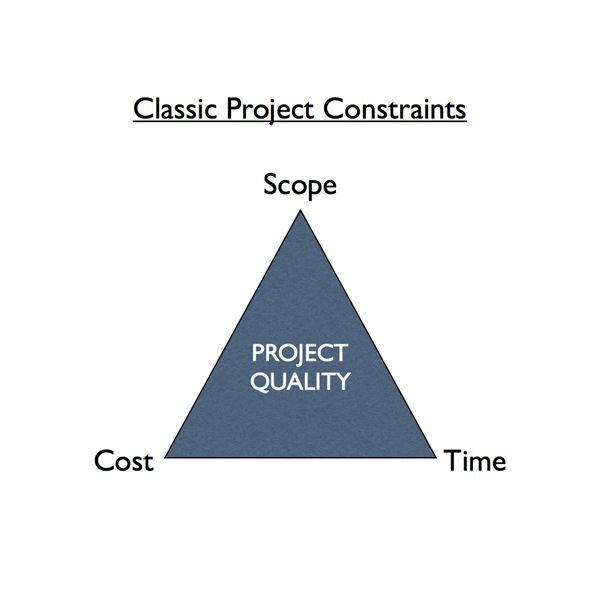 Design is about constraints and projects are about people working within those constraints. And people all learn and communicate differently. For example, creating lo-fidelity wireframes may be appropriate to test information architecture or static design elements, but eliciting user feedback on important interactions can be more effective using a dynamic prototype. Determining what design outcomes or validations you’re looking for, while considering time/scope/budget constraints will lead you to choosing the right technique to reach the most useful outputs. Design requires planning and process to avoid descending into a chaotic blend of people, techniques and outcomes. Creativity doesn’t adhere well to project plans and estimates - it needs room to breath and reach its full potential. Product management teams should take measures to prepare their organizations and projects to deliver on Design. Reduce risk by designing small, then big. Now’s the time for leveraging what you do know about your customers and the product idea or new feature you have. You also need to be actively pursuing learning what you don’t know about your customers. Applying Lean UX principles can help your teams focus on proving out small elements of a design with customers before taking on larger, more resource-intensive design concepts. The more data you can gather from customers about your product through testing, the closer you’ll get to understanding what problem it will solve. Not only will this data set increase the confidence of those on your product design teams, it will be invaluable as you plan out your product roadmap. Build in 10-15% contingency in your budgets and work with agency partners to develop flexible contract models. Acknowledging the sharing of risk is important to developing strong, collaborative relationships with internal teams and external vendors. This starts by accepting that the project and product envisioned in the beginning is not the one that will be delivered. When you fix scope you’re exclaiming “I know enough and this probably won’t change.” This isn't realistic. Instead, imbue the project with open and honest communication about constraints that are not going away. On the financial side, it’s a business reality that regardless of the contract model (fixed-bid, time-and-materials), there is a fixed budget somewhere. If procurement only does fixed bid projects with vendors, hedge against that risk by earmarking a portion of your budget for change orders when something new is learned about your product that requires additional work. Be ready if your project vision extends past the original budget. Establish relationships with customer communication platforms to help collect feedback and recruit customers for testing. Planning for design also means getting the right tools and platforms in place to support real feedback from users to learn about your product’s flaws. The recruitment and feedback management with users is often the biggest variable in design projects - both from a recruiting and scheduling standpoint. You’ll want to establish a few key vendor relationships with CRM companies such as Intercom and Freshdesk or niche usability and testing vendors Ethnio, UserVoice and UserTesting to always have a pool of customers to reach for as you develop your product. Partner with Specialists. Hire Generalists. Avoid Compartmentalists. Jared Spool has a great piece and talk on building design teams. In short, specialists can give you the kind of deep subject matter expertise in several areas that sets your product apart. Generalists have the broad skills and knowledge of techniques that add value in many ways while adapting well with the unpredictable nature of design projects. Compartmentalists are one-trick ponies. Often that trick is important to the success of your product, but these roles often lack the adaptability that design projects require. Hiring Specialists is an expensive, competitive, time-consuming endeavor. Depending on your industry and region, this can require more luck than diligence. Rely on design partners to provide this kind of expertise and embed your teams to soak up knowledge, new techniques and tools. The generalist might be working for you right now and just require design training and support to work more directly with design partners. Find those roles and grow them. They will form the bedrock of your product and project delivery efforts. Establish a training budget for product teams to attend workshops and conferences. Or bring the workshops to you. Team members on design projects need to be comfortable not only with failure but also educated in how to change course quickly and apply new techniques to reach desired outcomes. These kind of real-world experiences and training can certainly be had at design conferences. It can be more cost-effective to bring the learning to you. Many firms have services (reference needed) to come and train your team on how to tackle product challenges or learn new methods. In this way, you can focus on a current project and establish good cross-domain design competency amongst your product teams. Build a culture focused on shipping. A product isn’t a product until it’s in the hands of it’s intended users. The chaotic nature of design projects can lead you to take your eye off the goal—shipping the thing—because you’re too focused on the project issues or delivering on that feature. Work with your product teams to tightly define what MVP really means and with your PMs to set realistic delivery dates. There should always be a backlog, but more important is getting the product out and gathering feedback as soon as possible. It isn’t enough to create a detailed BRD, agree on a delivery methodology and staff a team. Design requires contemplation, adaptability, and the freedom to let your people create. Accept that each design project is unique and establish the right environment to make them successful. What could happen when connected devices and music come together. Design fidelity refers to the level of details and functionality built into a prototype.